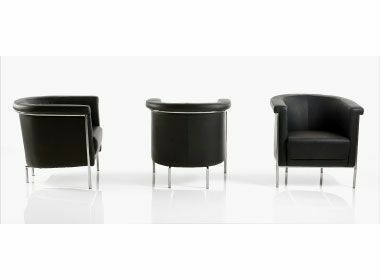 These chairs are designed for lots of everyday use in a busy commercial business. Finished in real Black leather and supporting Chrome feet. Highly popular. 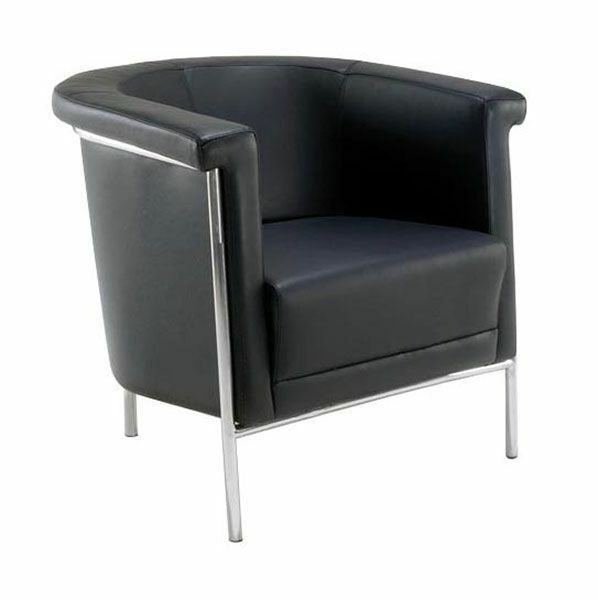 Highly attractive genuine black leather tub chair manufactured to a high standard and featuring a mid height curved back for posture and a deep cushioned seat. Very popular with clients.